Progress in Davao City is simply unstoppable! 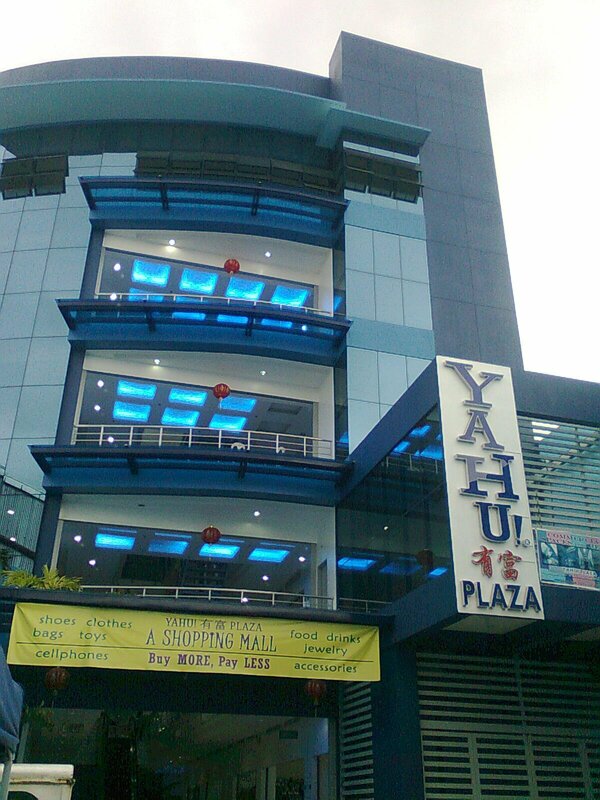 With the continuing addition to the list of ever growing number of shopping malls in the city, the Yahu! 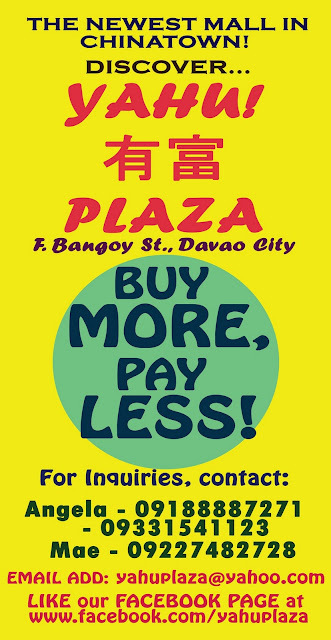 Plaza in F. Bangoy Street, Chinatown, Davao City is certainly a most welcome addition. 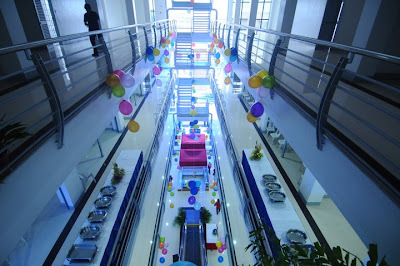 Opened to the public last June 15, 2011, this blue-painted, multi-level, five-storey shopping mall has a total area of 1,103 square meters with 75 commercial spaces of various wares, products, either for retail or wholesale, such as Clothing and Accessories, Hardware and Electronics, Gift Items, Industrial Supplies, Food Court, Frozen and Dry Goods, Fragrances and Beauty Products, Jewelry and Watches, Children's Toys, Convenience Stores, Chinese Pharmacy, etc, and a whole range of services as well. 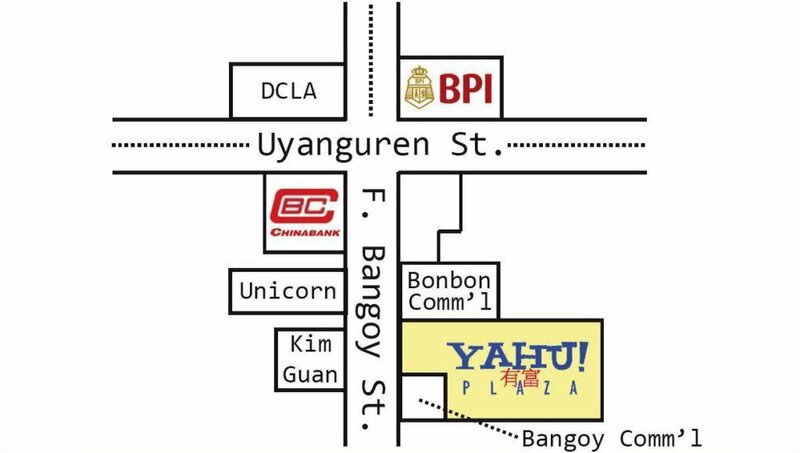 The name Yahu is derived from the Chinese word "you fu" in Mandarin, which means "rich," and "ya ho" in Hokein, meaning "very good." 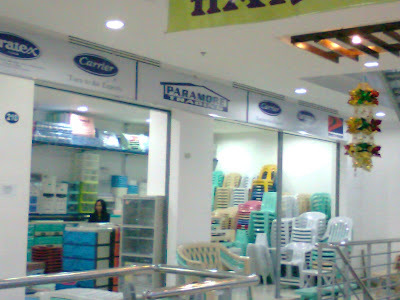 This newly built mini-mall is clean, and eco-friendly and features a small indoor garden at the ground floor and uses roll-up type doors for natural open-air ventilation. 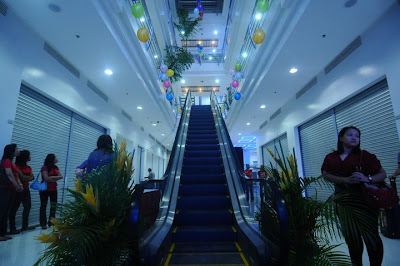 While Management promotes physical fitness and wellness through its "Exercise Stairs", the mall has two escalators, and two elevators for customers and cargoes. The first and second floors features RTWs, garments, accessories, electronic products, jewelries, foot wears, etc, while the food court is located at the third floor. The food court contains 15 booths where many food outlets can be found. 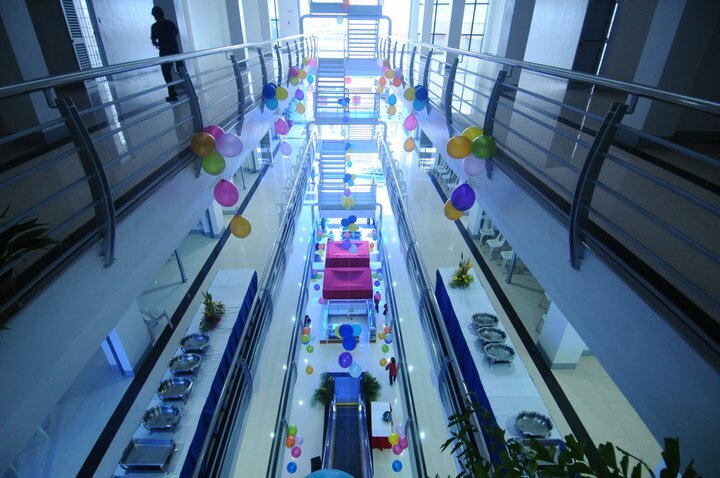 The fourth floor has spaces for business offices suitable for law, accounting, engineering, and similar other offices. 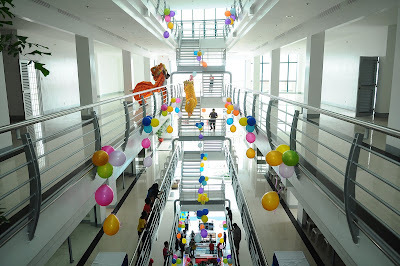 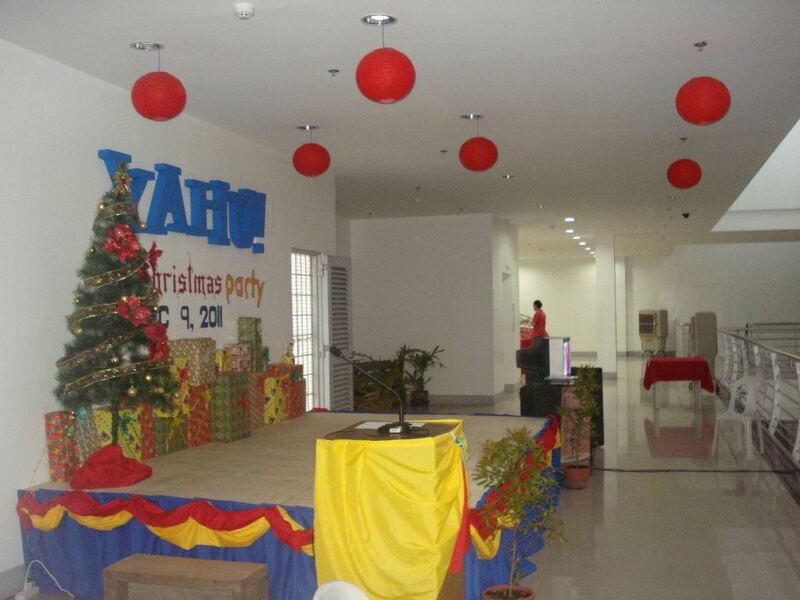 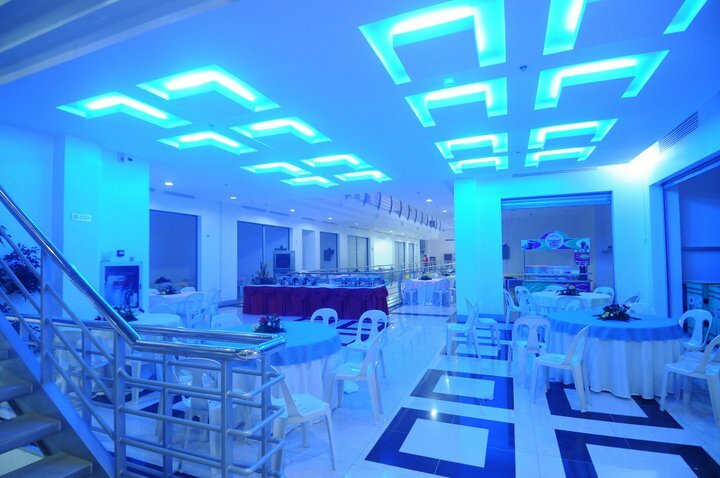 The fifth floor, which has a total floor area of 617.95 square meters, is an ideal venue for business events, social functions, gallery, mini trade fairs, and the like and can comfortably accommodate 150 to 200 persons. 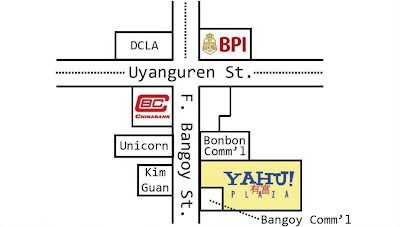 Yahu! Plaza is open from 8 AM to 7 PM, Mondays to Saturdays and 9 AM to 7 PM on Sundays.